You might have seen today’s (25/4/17) Google Doodle recognising the Cassini mission to Saturn. 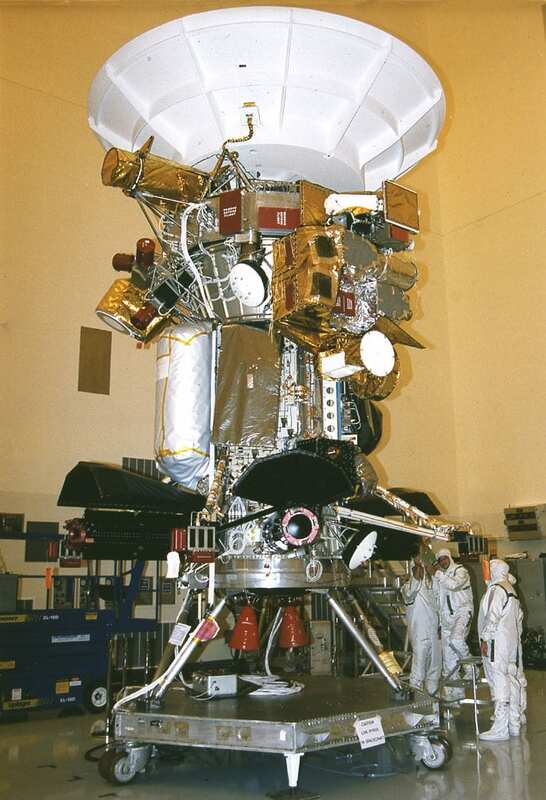 Cassini – Huygens was a joint NASA/ESA mission to the Saturn system that launched in 1997. Cassini is an orbiter that has been flying in various orbits around Saturn since July 2005. Huygens was a lander that had detached from Cassini a few months earlier and touched down on Titan (one of Saturn’s moons) in January of 2005. Cassini has done a huge amount of work since then but is now running out of fuel so NASA has made the decision to gradually fly closer and closer to Saturn before it burns up. Today is special as the probe is currently flying between Saturn and its rings, a first for any spacecraft. This undoubtedly newsworthy event could be used as nice discussion starter for ES2, ES3 or ES8 of the new Science specification. Cassini has recorded some unbeleivably beautiful images over the past few years, but first a quick photo to show the size of the spacecraft. An alternative to the famous Pale Blue Dot image is this updated photo from Cassini. That bright blue star is us. This page from NASA is chock full of possible resources to get the discussion going, it also allows us to examine the work that real scientists are doing right now, therefore touching on numerous Nature of Science learning outcomes. To be honest I think you can use Space to teach pretty much any aspect of science, even biology so I’d always mention they geysers that Cassini found spouting from Enceladus. Indicating a liquid ocean beneath the icy crust and a heat source, two of the key ingredients for life. One for the Star Wars fans. 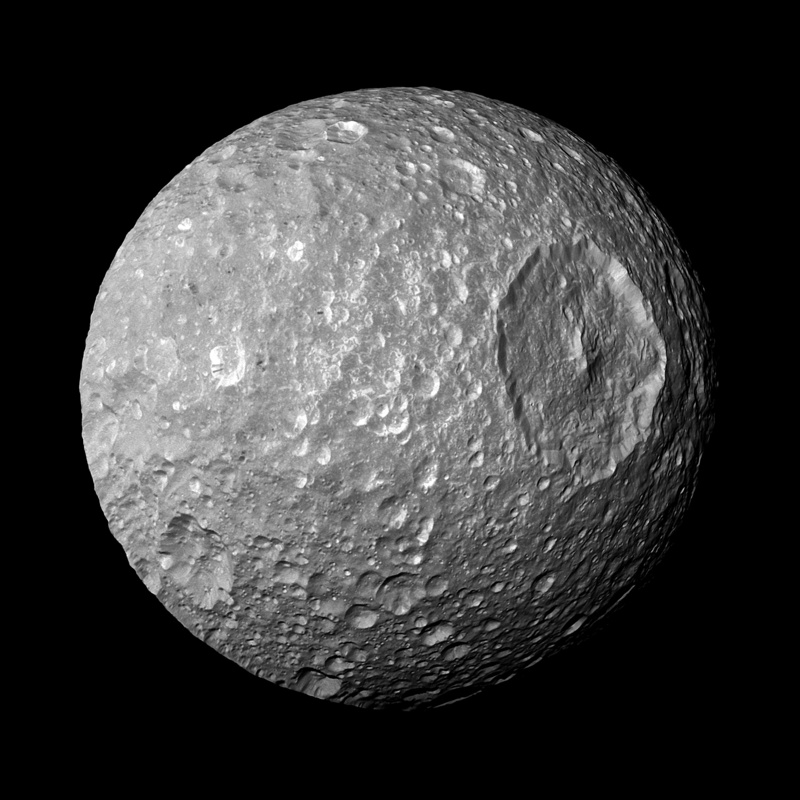 Saturn’s moon Minas. Saturn’s bizarre hexagonal storm on its northern pole.